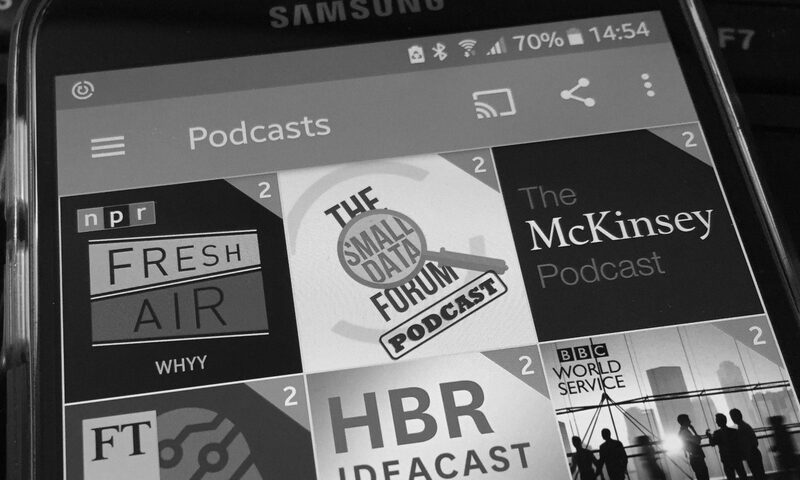 In episode 5 of the Small Data Forum podcast hosted by LexisNexis – our Christmas and year-end edition – Neville Hobson, Sam Knowles and I reflect on fake news and their distribution networks, the alleged gaming of Google search rankings, the promise of augmented intelligence and broad questions of how civil societies deal with the emerging and evolving challenges. Do we need more regulation? And who will regulate the regulators? how professional journalism is struggling with the phenomenon of fake news. Even Pope Francis joined the debate by denouncing the slander and defamation through fake news as sin. The debate following the surprising outcome of the US Presidential Elections has shifted from highlighting the shortcomings of political polling, to a thorough examination of the circumstances and conditions that led to the election of Donald Trump. The media researcher and data journalism expert Jonathan Albright tested his hypothesis of a fake news ecosystem by crawling and indexing more than 300 websites known to be associated with fake news. He analysed more than 1.3m URLs and found what he described as a “micro propaganda machine”. Whilst it is possible to identify both ‘left-wing’, and ‘right-wing’ media ecosystems, the core of the matter is not about politics, but about trust in facts and accurate information. It is about the responsibility of stakeholders, including the large social networks such as Google, Facebook and YouTube. But how will such a responsibility be defined? How will it express itself? Can the claim of algorithmic neutrality still be upheld, or should it be replaced with algorithmic accountability? Is this a question of morality and ethics, or rather one of regulation and the application of the Rule of Law? How do we weigh the risks of policing and censoring the internet against the dangers of a manipulated anarchic swamp of bigotry and hatred? Listen to Neville, Sam and myself debating the above topics in episode 5 of our Small Data Forum Podcast.